You can do this. Let us help. Laura is a Registered Acupuncturist. She works with each person to create tailored Chinese medicine treatment plans that include acupuncture, bodywork (such as cupping), dietary and lifestyle recommendations. She has a keen interest in women’s health, and is always amazed at how well acupuncture can help with nausea, low back pain, headaches, sleep issues and other pregnancy-related changes. Laura also loves working with children often on immune and digestive health but also developmental issues. Laura has attended courses led by Claudia Citkovitz, a preeminent Acupuncturist and teacher on using acupuncture for labour and delivery. Laura has also completed advanced training in Chinese Medicine at the Canadian Gynecology Institute of Chinese Medicine (2019), York University (2017) and Nanjing University of Chinese Medicine, China (2016). She received her Acupuncture Diploma at Eight Branches Academy of Eastern Medicine in 2015. When she’s not in clinic, you can find Laura on the water paddling with her dragonboat and outrigger canoe teams. 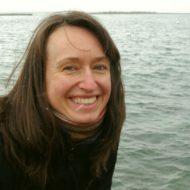 For more information about Laura’s background and services, please refer to her website www.laurakaufer.com. © 2018 West End Mamas. *Silver winner in Best New Mom Entrepreneur category.